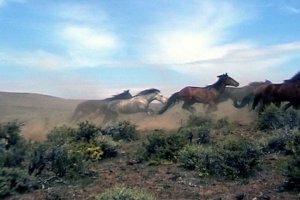 Wild Horses of the Yakama Homeland have been around for generations and as long as our people can remember. The oral history kept by our people tells of the cultural and traditonal value this prized animal has among the Yakama People. Revered for its endurance and strength, the horse has become a symbol of the true Yakama Spirit and strength that survived the most difficult times over the last 200 years. Today, the horse remains at the same status and is often a prized possession with most tribal members who remember the days when horse chasing and catching was an art itself. Used for various activities such as berry and root gathering to rodeos, the wild horse made a way for the Yakama people and continues today to survive in the utmost of harsh climate conditions. Most agree, that the wildhorse is here to stay and to the appreciation of its Yakama Tribal members will remain so for many generations to come. 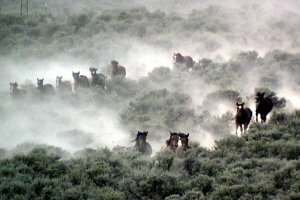 At the present time (2010) there are believed to be over 12,000 wild horses on the reservation. A comprehensive management plan has been developed but because of budget constraints and poor markets for horses, only limited management is possible. However, approximately 500 horses have been captured by the program in the last 5 years. 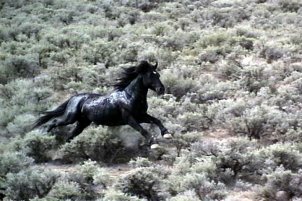 Purchase Wild Horses From Our Program!!! Wild horses are sometimes available for sale from our program or from individual tribal members. Prices vary for unbroken horses. Tribal members will halter break and train horses for a negotiated price. For more information, please contact LeRoy Adams, Jr.: office: 865-5121, x6301, cell: 949-7858. 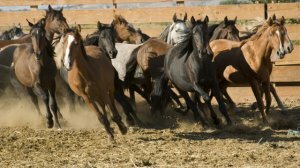 To obtain a Special Permit for horse chasing, contact our program. This permit is for tribal members only. 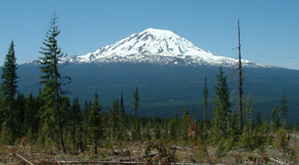 Click here and look under Special Permits for more information.